CNN Poll: Did White House order IRS targeting? Washington (CNN) - A growing number of Americans believe that senior White House officials ordered the Internal Revenue Service to target conservative political groups, according to a new national poll. And a CNN/ORC International survey released Tuesday morning also indicates that a majority of the public says the controversy, which involves increased IRS scrutiny of tea party and other conservative groups seeking tax-exempt status, is very important to the nation. Republicans argue that the Obama administration used the IRS to intimidate and harass political opponents. Democrats say poor management at the tax agency, rather than political bias, is to blame. Congressional sources on both sides say that interviews with IRS workers so far have found no evidence of political dealings by the White House. White House Press Secretary Jay Carney, touting an independent IRS inspector general report, has said the scrutiny appears to have originated with "IRS officials in Cincinnati," where the agency's tax exempt division is centered. Last month only 37% of the public thought that the IRS controversy led to the White House, with 55% saying that agency officials acted on their own without direct orders from Washington. Now the number who say the White House directed that IRS program has increased 10 points, to 47%, virtually the same as the 49% who believe the IRS agents acted on their own. "Younger Americans are much less likely than older Americans to believe in White House involvement, and there is, not surprisingly, a partisan divide as well," says CNN Polling Director Keating Holland. "But the Obama administration may be losing independents on this matter. In May, only 36% felt the White House ordered the IRS to target conservative groups; now that number has crossed the 50% threshold." 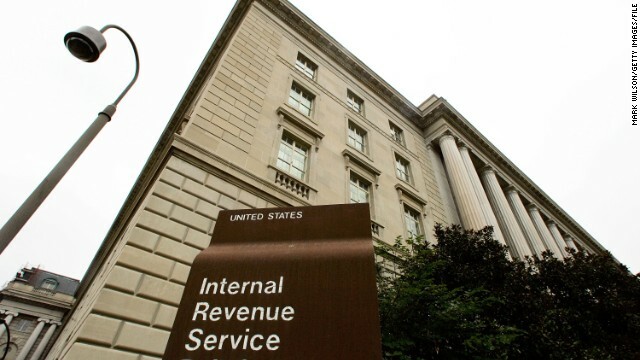 Fifty-one percent of those questioned said the IRS controversy is a very important issue to the nation, compared to 55% who felt that way in May. In the past week and a half, the IRS story has been put a bit on the backburner, as the controversy over the federal government's massive surveillance program has dominated the spotlight. The poll was conducted for CNN by ORC International June 11-13, with 1,014 adults nationwide questioned by telephone. The survey's overall sampling error is plus or minus three percentage points. Of course they did. Come on people are acting like this hasn't been happening for DECADES in all democratic countries around the world.